The Complete Training Syllabus includes instructional material needed to become a skilled and confident cat groomer and prepare for CFMG certification, whether a beginner or a seasoned groomer. The Syllabus includes 13 online courses, 2 books, and 5 DVDs (listed below). Shipping is free worldwide. Items contained in the Syllabus can be purchased separately. 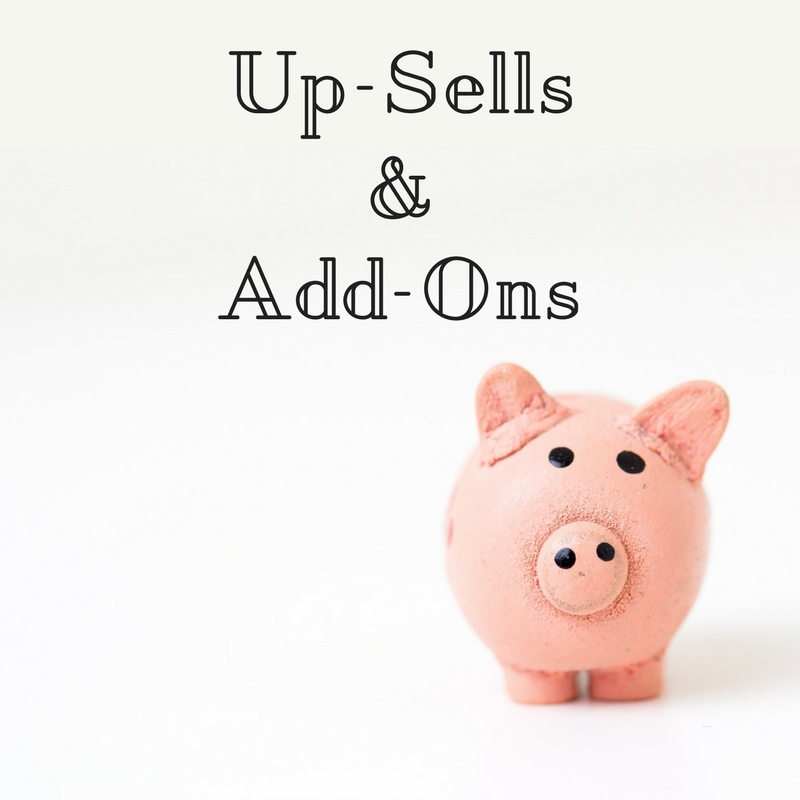 When purchased separately, total cost for all is $1895. Upon purchase, books and DVDs will be shipped and buyer will be added to the 13 online courses. Get started on your way to becoming an amazing cat groomer! Upon purchase, books and DVDs will be shipped and buyer will receive admission links to the 13 online courses. 1. Cat Grooming Basics – Foundation to Success, the 6-week core foundation course to the entire program containing classes, demonstrations and more from our former cat grooming school program. 2. 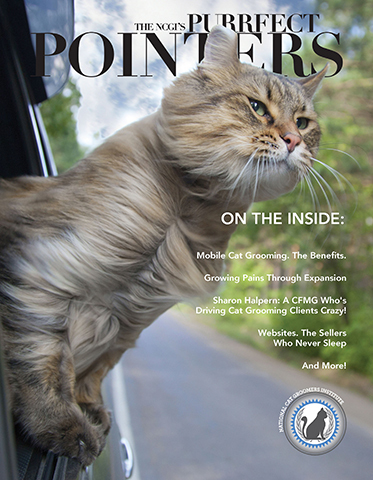 The Ultimate Cat Groomer Encyclopedia, the most comprehensive cat grooming book on the market containing 180+ pages of grooming technique explanations, criteria for making good groom choice decisions, help with improving speed and confidence, methods for gaining new clients, and more! 3. Written Exam Study Prep course, the necessary study material needed to pass all 4 written certification exams. 4. Temperament and Handling Study Aids course, a supplemental guide to mastering the foundational aspects of identifying and understanding feline temperaments to aid with solo handling and confident grooming. 5. Health and Anatomy Study Aids course. a supplemental guide intended to help wtih preparing one for the corresponding written exam. 6. Breeds, Colors and Coat Types Study Aids course. providing helpful tips and explanations to aid in passing the corresponding written exam. 7. Here Kitty Kitty DVD, a 2-hour seminar presentation that includes demonstrations of a Persian groom as well as a lion cut groom. 8. 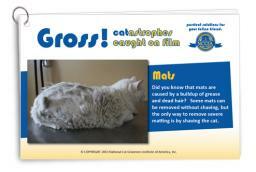 Get a Grip DVD, with demonstrations and explanations specific to grooming aggressive cats and more! 9. Nail Trims and Softpaws course, containing complete instructions for swift nail trimming and softpaw applicaiton/removal. 10. The Bath: Why and How course, since the bath is the foundation to every fabulous groom! Discover how to get it right every time and how to overcome the objections that may be encountered. 11. Cat Handling Techniques for the Groomer, a photo-filled book showing various holds to gain access to every part of a cat’s body whether shaving, drying, combing, etc. 12. Cat with a Mat DVD, includes a complete lesson on performing a full groom with lion cut on a feisty kitty with a pelted coat. 13. The Lion Cut course, includes demonstration of lion cut and handling techniques on a typical cat. 14. The Comb Cut DVD, shows the entire comb cut groom including bath, blow dry, de-matting, and comb cut process. 15. The Face Trim course, provides instruction and demonstration on the Persian/Himi face trim including handling techniques. 16. Grooming the Aggressive Cat course, the most comprehensive course ever on handling, grooming, and completing grooms on highly aggressive felines by a single groomer. 17. Kryptonite for Cats DVD, actual grooming demonstrations of highly fractious felines complete with theory and explanation. 18. Senior Cats course, instruction and demonstrations on how to best handle the special needs presented by elderly cats including those in bad condition or with attitude. 19. Marketing 101 course, provides explanation of online marketing elements necessary to properly and effectively market a grooming business, especially a feline-specific kind. 20 Business Development course, a 3+ hour class recorded during the former cat grooming school program containing a wealth of information for successful business start-up. operations, growth, and management. Books and DVDs can be returned for a refund if shipped back unopened and in new, resalable condition. Refund will be based on 50% of retail syllabus pricing plus any additional discounts that may have been given at the time of purchase. A 20% restocking fee and our incurred shipping costs to get the books and DVDs to you will be deducted from the refund amount. Online or digital materials are nonrefundable. I wish this kind of information was around when I had cats as clients who I thought were the spawn of satan….. reading on how to properly restrain , if I knew back then what I know now… grooming experiences would’ve been a whole lot better. I had a cat who was bathed every 2 weeks but every time I’d wash her, she would begin to flail all over the place and sometimes turned into a frantic state, once cat reached that’s stage, I stopped the groom and multiple times returning a damp/wet cat because was unable to dry unfortunately. I went to cat grooming school only so that I could learn how give cats the same service that I was giving dogs. I didn’t know that the NCGIA had a FB group. I definitely had no plans to start a business or become feline exclusive. I wasn’t planning to do house-calls. I didn’t even have a car. But after I became a CFMG I didn’t want to do anything else. I had been a groomer for twenty years or better before I had heard of the NCGIA. I think I did an adequate job with cats if you consider there was no cat grooming school and very little information out there when I started. I was very excited when I saw what was possible. Going to the school and becoming a CFMG was very important to me. It gave me the feeling of being the best at something and I felt reinvigorated. Learning and growing in your chosen field keeps it from feeling stale and heads off “groomer burnout.” I believe, and I tell others this all the time, I think my cat grooming skills improved 100% just from the educational materials alone. I also feel a bond with my classmates. We achieved it together. There are a small number of CFMGs worldwide, I’m very proud to be among their number. To say my decision to jump on a plane with 2 weeks notice and fly across to the other side of the world was a good investment is an understatement. I was previously a dog exclusive groomer who wanted knowledge and skill before touching cats. Now, 6 years later I have sold my dog grooming business, have Queensland’s first cat exclusive salon which is booked out 6-8 weeks in advance. More on Saturdays. I am now making more money with less work and have learned to value myself and my work. This would not have been possible without learning from Danelle and the NCGIA. Thank you. Reeda Close, Australias’ first CFMG! NCGI NOTE: Reeda attended our former school program located in South Carolina that ran from 2010 through 2015. The Complete Cat Groomer Training Syllabus replaces the school program and contains classes, lessons, and video demonstrations from that time. To follow up with hands-on instruction and/or exams, there is a list of Approved Trainers and Remote Certifiers listed on our website. These trainers/certifiers are located in various parts of the world to make pursuit of CFMG education much cheaper and more easily accessible than it once was. Now 2.5 years in business we now have 450 cats on our books growing more every week, and we owe a LOT of that to our training and certification from NCGI! The confidence we have from the Veterinarians in our area based on our education is something that we would have never had without it. We are the only feline exclusive salon in our area and have clients who drive up to 4 hours one way to have us groom their cats because they want CFMG’s who are trained and certified to groom their cats. The investment made to go through the CFMG program is well worth it if you haven’t enrolled already what are you waiting for! Dive in and join the family! I just want you guys to know HOW MUCH I appreciate you and how you’ve impacted my life. I was a bonafide dog lover and I would’ve never imagined any of this. I thank you from the bottom of my heart, Danelle and Lynn.